I’m happy to say that I’ve been sticking with my regimen! Today was my sort of mid-week co-wash. 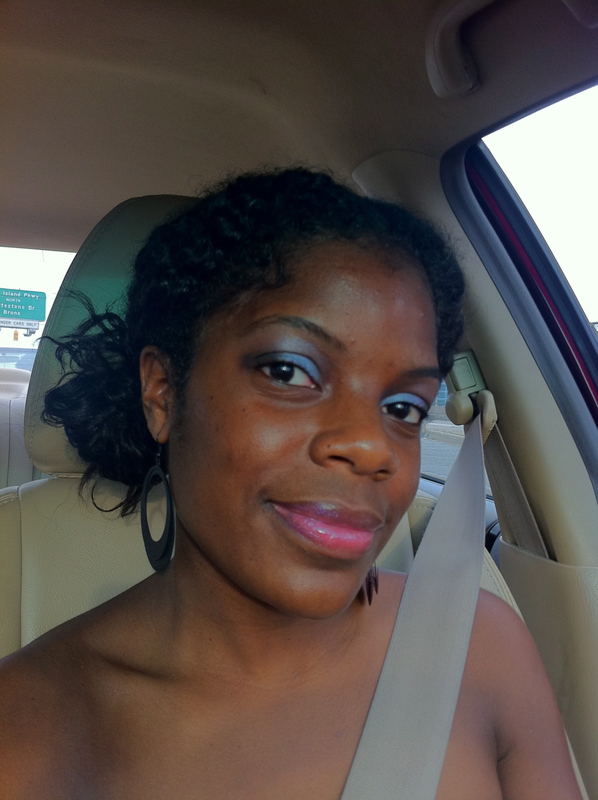 I used my Shea Moisture Organic Yucca and Baobab Volumizing Conditioner. This was the first Shea Moisture conditioner I tried and fell in love with. I had some left, so I figured I’d finish out some of it. My hair felt fantastic. I didn’t do a twist out this time. I think I’m getting a bit tired of the messy look. My hair actually dries overnight when I do a twist out! I decided to slick it back with some EVOO and Eco Styler Gel. I put it in two close ponytails in the back so that I can make one ponytail in the morning. I didn’t make one ponytail when it was wet for two reasons. The first being that the middle would never dry. The second reason is that when I put it in one ponytail when it’s wet, the middle dries very thick, knotted. It also tends to feel super dry. I’ve come to terms with the fact that there’s nothing I can do about all of the breakage now. The most I could do is nurture my hair back to health and that’s exactly what I’m trying to do.